Made it to paris on the eurostar. Finally found my hotel. Sitting at a cafe outside the gare du nord. Having a beer while waiting for dad. England are going to get thumped i think. That or we sneak by it by 2 points. 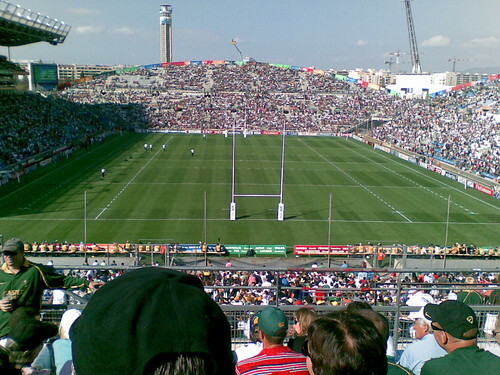 Tags: england, prediction, rwc2007, south africa. Well thats not going well. When it was still 10 - 0 we had a chance. That last try was a killer blow I suspect. Although we didnt look as bad as last week and they have only really scored from broken play. Tags: england, half-time, rwc2007, south africa. Well that was crap. England looked better but had no penetration. Hopefully jason robinson isnt to badly injured. The south africans looked really good although they only scored from broken play. the atmosphere at the ground was really good. The stadium is very impressive. Tags: england, result, rwc2007, south africa. Good try by the USA at the end of the half. They are certainly showing more flair than england did against south africa. I suspect south africa are going to score a lot of points in the second half. Good atmosphere at the match. the train journey was long so it best be a good match. Tags: half-time, rwc2007, south africa, usa. So the states lost by a lot but attacked a lot more than england did against the south africans. South africa still look awesome. They really do have a chance of winning the title this time round. Tags: result, rwc2007, south africa, usa. Given last nights results im tempted to predict a Fijian win. However South Africa have looked the form team in the tournament and this match matters. So I think they will win by 30. 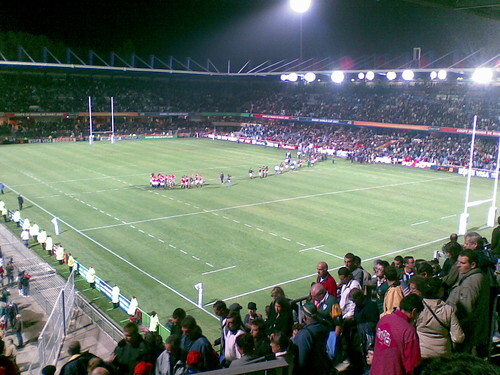 Tags: fiji, prediction, quarter-final, rwc2007, south africa. Got distracted by getting back to the station for our train to Arles. South Africa won convincingly in the end but Fiji certainly gave them a fright. The two tries to draw level were fantastic and they were down a man at the time. Tags: fiji, quarter-final, result, rwc2007, south africa. So somehow England have made it to the final. South Africa have looked good all tournament. This wont be the beating we got in the pool matches but I still think were going to lose. It will be close though. I think South Africa by 5. Tags: england, final, prediction, rwc2007, south africa. Close, very close. South Africa were unlucky to not score a try at the end there. England certainly look a lot better than they did in the pool game. We still might do it. Tags: england, final, rwc2007, south africa. Bugger! well at least we lost our title in the final. South Africa have looked like champs all the way through. I dont think it was a try either. 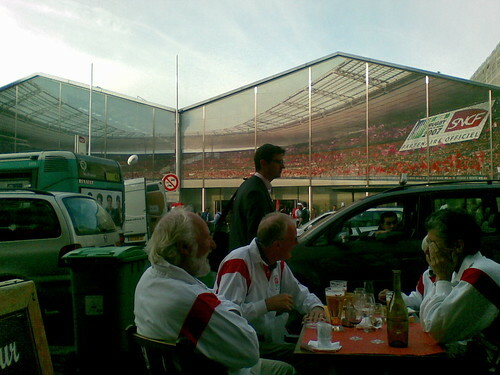 Tags: england, final, paris, rwc2007, south africa.